This post has been contributed by Patricia Thomson, Executive Director for the Stanley Park Ecology Society (“SPES”). As a member of SPES for the last five years, I wanted to offer the team an opportunity to share their news, events, and work so I created the “SPES Series” where they contribute and share stories with my audience once a month. Join SPES’ Windstorm 10-Year Anniversary walking tour on December 17th! The force of the wind tore healthy trees in half. 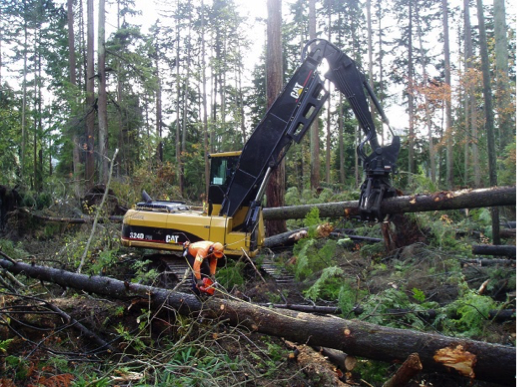 During the dark hours of December 15, 2006, hurricane force winds flattened 10,000 trees and blew in a new regime of forest management for Stanley Park. It also launched the Conservation Department for SPES. Although wind is the natural refresher of forests on the wet west coast, this was a shockingly impactful event, described locally as the ‘most devastating’ windstorm in 40 years. Private citizens and three levels of government galvanized into action, resulting in a remarkable and positive legacy in terms of a management perspective and inclusion. With severe damage to 40 hectares (100 acres) of forest that is visited by some 9 million persons annually, collaboration was key to the strategies and prescriptions for the response: Experienced foresters, ecologists and academics were engaged for the first time by Vancouver Park Board (“VPB”). SPES was engaged to work with contract biologists on environmental monitoring focused on protecting habitats and wildlife throughout the concentrated 2-year restoration era. SPES also became the point agency to effectively activate passionate community volunteers in habitat enhancement. SPES’ Conservation Programs Department was officially born. Blowdown site on western edge of Park. Photo: P. Lawson. 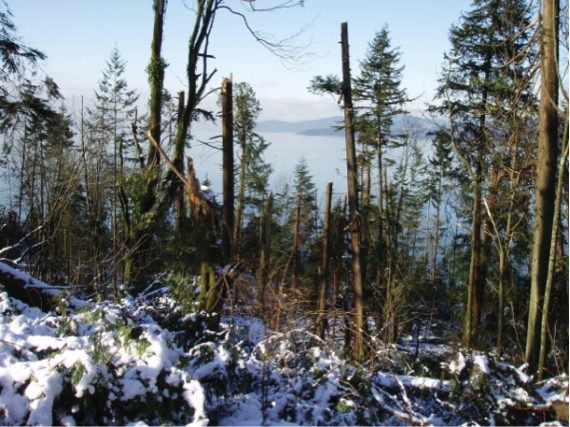 Now at its tenth anniversary, the 2006 Windstorm’s impact reflects as a boon of forest regeneration and collaborative engagement for Stanley Park and its stakeholders. A fresh, forward-thinking Forest Management Plan was produced. Of the 16,000 saplings planted during the Restoration, some trees are now two metres tall in sunlit patches of new forest succession. Bird diversity increased in the fresh shrubbery. Strategic forest trails were reworked with larger culverts and boardwalks to allow healthier water flow. Unsanctioned trails have been decommissioned to mitigate forest defragmentation. Invasive plants continue to be battled through strategic management. Post-windstorm clean up. Photo: Vancouver Park Board. 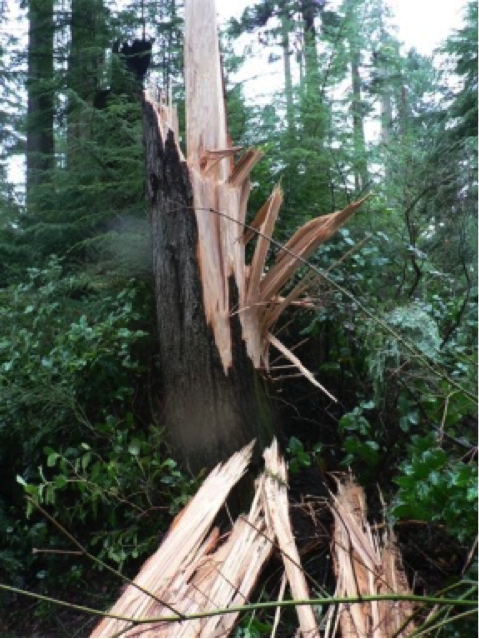 The windstorm also revealed glaring gaps of ecological information about Stanley Park: SPES initiated a series of foundational planning and operational documents that mapped Environmentally Sensitive Areas, identified Species at Risk, and detailed Best Management Practices to work positively for Species of Significance, as well as to alternatively combat opportunistic, invasive plants. These documents, archived here, were foundational for SPES’ 2010 State of the Park Report for the Ecological Integrity of Stanley Park (“SOPEI”), the first of its kind relevant to Vancouver parks. Documenting the Park’s major ecosystems and potential stressors, SOPEI, in turn, became the basis for the 2011 Stanley Park Ecological Action Plan, jointly produced and acted upon for the past five years by VPB and SPES. Recognized since the Windstorm for our collaborative inputs on ecology-related issues and community engagement, SPES also has had strong input in the City’s 2016 Biodiversity Plan and its 2015 Environmental Education and Action Plan. As we reflect on the restoration and management of Stanley Park since 2006, SPES will continue to advocate for a collaborative and scientifically sound approach to conserving this world renowned park for generations to come. A SPES environmental educator at work in Stanley Park. Photo: Don Enright. We invite you to join us on a walking tour of the Park’s blowdown sites to witness the renewal of these areas, which has been supported in large part by the weekly efforts of SPES’ Special Invasives Removal Team (“SIRT”) and by monthly EcoStewards rehabilitation work. To register for the “by donation” Windstorm 10-Year Anniversary Walking Tour on Saturday, December 17, 1:30pm to 3:30pm, please visit SPES’ Events Calendar. Be sure to dress for the weather! This post has been contributed by Patricia Thomson, Executive Director with the Stanley Park Ecology Society. 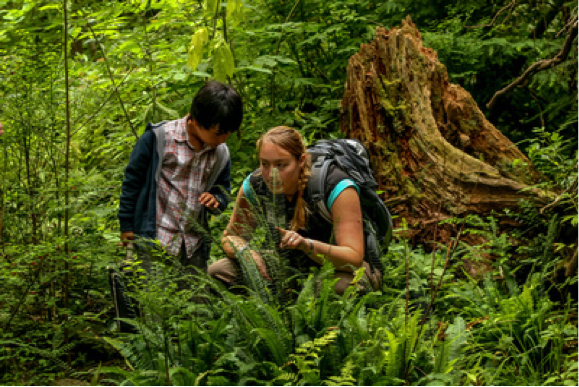 If you want to support a non-profit organization that makes a difference for wildlife and people in Stanley Park, please make a donation or become a member of SPES. For more information visit the Stanley Park Ecology Society website.